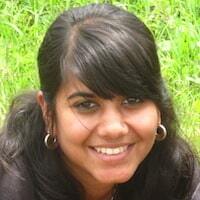 Tarini Mohan is program adviser at BRAC USA and a native of New Delhi, India. Her work largely focuses on fundraising for the agriculture program in sub-Saharan Africa, for which she assists in proposal writing. Tarini also works on fundraising for a range of BRAC programs, including BRAC’s Ebola response and road safety. She joined BRAC Uganda as a volunteer in 2010 and became a part-time employee in March 2014. She works remotely from Washington, D.C., out of the Center for Global Development. She earned a bachelor’s degree from Wellesley College, where she majored in economics.